This collection of essays focuses on the peoples and communities of ancient, and mainly pre-Roman Italy. Alongside the Etruscans, a range of less well-known ancient peoples of the Italian peninsula are increasingly coming into focus, and it is now possible to write the history of these communities; a history that led eventually to the formation of Roman Italy and ultimately of the Roman empire. 'Ancient Italy' consists of a series of studies, covering the Ligurians and Celts in north-west Italy, the Veneti, Picenes, the Etruscans, the Faliscans, the Latins, the Samnites, the peoples of Campania and the peoples of south-east Italy. Each essay provides a brief introduction to the region and its communities, a summary of recent scholarship and a map showing the location of significant sites, and then goes on to bring out the key issues raised by the most recent research within that region. The book addresses themes in the study of the ancient world: settlement and landscape; identity; religious and funerary ritual; elite stratification and display; social and cultural interaction drawing on evidence from archaeological excavation and survey, numismatics, epigraphy and literature. 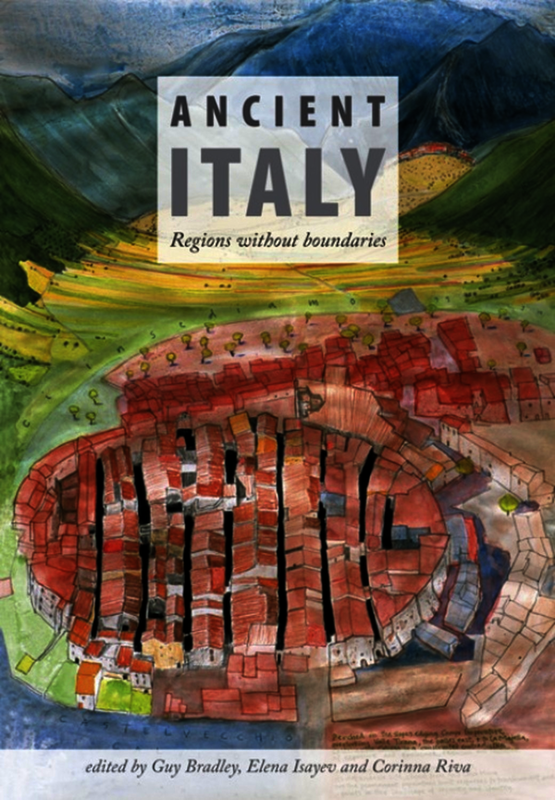 Designed to be an important tool for researchers working on the ancient Mediterranean, it is also accessible to undergraduates, providing a starting point for anyone interested in the peoples of Ancient Italy. Guy Bradley is Lecturer in Ancient History at Cardiff University and author of Ancient Umbria (2000). Elena Isayev is Senior Lecturer in Ancient History, University of Exeter and author of Inside Ancient Lucania: Dialogues in History and Archaeology (2006). Corinna Riva is Lecturer in Mediterranean Archaeology at University College London and co-editor of Debating Orientalization: Multidisciplinary Approaches to Change in the Ancient Mediterranean (2006). List of Contributors: Elena Isayev, Senior Lecturer in Ancient History, University of Exeter Kathryn Lomas, Senior Research Fellow, Institute of Archaeology, University College London Ralph Haussler, Lecturer in Ancient History, University of Osnabruck, Germany Corinna Riva, Lecturer in Mediterranean Archaeology, University College London Vedia Izzet, Lecturer in Archaeology, University of Southampton Letizia Ceccarelli and Simon Stoddart, Department of Archaeology, Cambridge University Christopher Smith, Professor of Ancient History, University of St Andrews Edward Bispham, Fellow and Tutor in Ancient History, Brasenose College, Oxford University Mariassunta Cuozzo, Associate Professor of Etruscology and Italic Archaeology, Universities of Naples and Molise Edward Herring, Lecturer in Classics, National University of Ireland, Galway Guy Bradley, Lecturer in Ancient History, Cardiff University. A set of well-informed essays... ...the bibliographies at the end of each chapter...constitute a useful guide to the primary evidence for the areas and themes introduced. ... admirable (and well-indexed) collection).
. . . full of important material intelligently discussed. It will be essential reading for archaeologists and ancient historians at every level from undergraduate upwards.